Welcome to our review of the 10 best audio interfaces under $200. 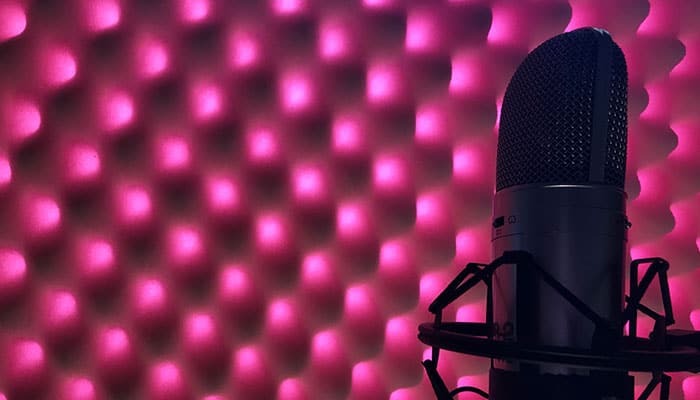 Technological evolution and reduced manufacturing costs have been the major contributions in modern times that finally led to your home recording studio dreams becoming an actual reality without breaking the bank. 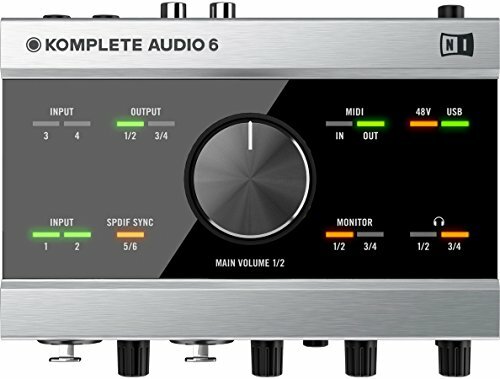 What Is The Best Cheap Audio Interface? Are Budget Audio Interfaces Good? 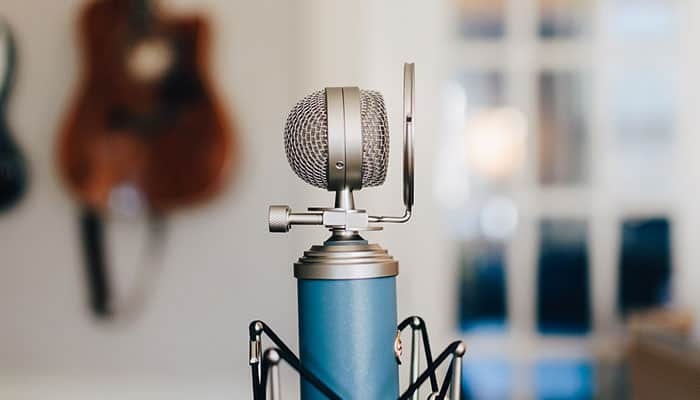 There are plug and play USB conveniences that offer a solution for putting your instrument through a DAW but if you have any ambitions you are going to need to invest in a decent AI to better cover your needs for home recordings. 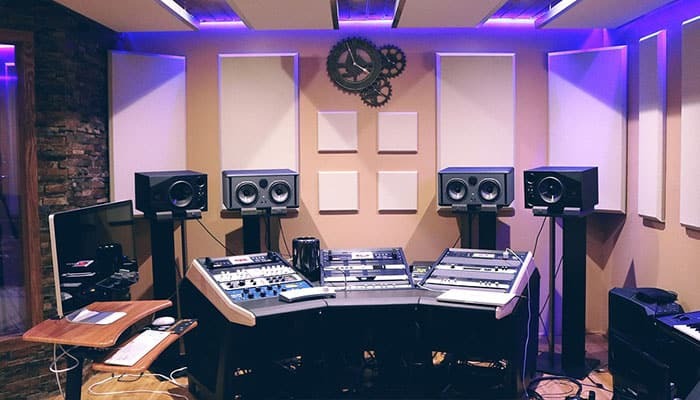 We have reviewed some of the trending items that sit below the 200 bar and provided a buying guide with all the info broken down into bite-size chunks to help you make a decision armed with all the knowledge you need before you buy the best audio interface for your new set-up. 2 x combo inputs 2 outs. Compatible with all major DAWs. Output connections make it suitable for DJing. Comes with Studio one DAW. is a USB connection AI, it features 2 combo inputs consisting of, 2 XLR Microphone pre-amps with phantom power and 2 instrument inputs. It has 2 line outs and headphone monitoring. It has unrivaled low latency enabling you to better handle your workflow inside your DAW from your headsets without delay. It provides the same professional level signal conversion as their higher end models which are utilized in the professional recording industry. comes with its driver and a whole heap of goodies an exclusive copy of Pro Tools and Ableton live some samples and additional software plugins to boot. + 2 x combo inputs 2 outs. + Compatible with all major DAWs. is the number one best selling home studio in a box set-up for a reasonable price, it is easy to set-up and use from the get go and pretty much unbeatable audio quality, the plugins and add-ons are always a welcome bonus. This USB audio interface is constructed with top build quality components, high-end pre-amps cirrus logic converters and makes a good upgrade from some of the lower budget AIs available. It comes with a copy of Cubase LE 6, Traktor LE 2 and Komplete Elements and offers pro recording ability straight out of the box. + Output connections make it suitable for DJing. Why We Liked It - This high build quality USB audio interface tends to fluctuate and sits averagely just above the 200-mark we are focusing on but it offers a great range of outputs which makes it really worth breaking the rules for a mention. This is the entry level matriarch that began the AudioBox line. It is an apt description for the compact creature. It sports 2 frontwards facing combo inputs typical of other interfaces in this price range. It is USB and has MIDI abilities and phantom power for condenser mics. This USB audio interface is 24-bit resolution;44.1,48,88.2 and 96kHz sampling rates. It presents 5 dedicated dials 2 for line in gain control modules, one for monitor level, one for the DJ mixer, and one for mains. It is compatible with most DAWs (Mac and PC) and comes with Studio one workstation software and 6+GB of additional third-party resources to top it all off. + Suitable for most DAWS. + Comes with Studio one DAW. Why We Liked It - This cheap USB audio interface is the oldest in their line as well as the cheapest, it meets the standards and gives a fair amount for a budget AI option. Steinberg produces some of the worlds best audio production products. The UR242 is a stunning entry-level audio interface sits just below our 200 cap and provides some of the same capabilities as the bigger fish in its line. It is a USB 2 bus power product with built-in DSP effects. It features 4 analog ins and 2 outs. They feature Yamaha's remarkable Class-A, D-Pre Mic pre-amps for a clarity to your mix as well as having their REV-X reverb algorithm built in. The Yamaha REV-X reverb has Hall, Room, and Plate simulations. Other features include MIDI In/out, phantom power. It is compatible with all DAW software mac PC and has iPad compatible connectivity. It comes with a copy of Steinberg Cubase LE and seamlessly interfaces. This one really provides a device that captures a players expressiveness the signals are very pristine and pick up the dynamics and nuances. The D-Pre mic pre-amps do not over amplify it can handle great levels. + Built like a rock. Why We Liked It - The on board DSP effects and other notable features make it just a cut above the rest for budget audio interfaces under $200. You can typically pay twice for something with similar pre-amps and abilities, they have really packed a lot into this little guy. This recording interface is the next model up from the 2i2, Offering up the same simple UI as the first. It has class-leading conversion and functions at the same rate as the Steinberg and a little better than the PreSonus AudioBox to put it into better perspective. It provides the trusted low latency we have come to respect from Focusrite. It allows for 2 analog inputs separate recording or simultaneously these are XLR/TRS combo as with the primary model and feature their proprietary pre-amps as well as 48v phantom power. So how much does the upgrade set you back and what are you getting for it? Prices are always subject to change but this one is typically between $15-$25 dollars more than the entry-level recording interface and provide additional MIDI in and out. The other major difference is it has 4 out as opposed to just 2 making it suitable for the disk jockeys out there. It also comes with a great bundled software Pro Tools, Their Red2 and 3 suite and other unique resources such as the Novation Bass Station VST and AU Plug-in synthesizer. + 2 in 4 out. + Lots of software included. Why We Liked It - The Analog inputs handle whatever the grizzliest of guitarists could throw at it, the software plug-ins are invaluable extras. boasts zero-latency analog monitoring for strict real-time functionality and has 2 dedicated outputs for home studio monitors. This USB audio interface is compatible with all major DAW software apps and includes Tracktion Music production software and an essential collection of plug-ins. Some users report a small amount of white noise whilst using the low latency monitoring this is probably due to cables so be sure to get a good set. USB audio interface is advertised as built like a tank but the facing doesn't appear to be as solid as similar models on the market. This is Mackies cheapest model so perhaps production costs were slashed in the materials department. + Easy to use Bare bones AI. makes for an adequate option. Once again this AI comes in just slightly outside of our 200 dollar constraint but after reviewing the two which sit comfortably in the price range we just had to let you know how much bang you can get for a few more bucks. The Scarlett 18i8 offers the same superb sound but has much more flexible I/O options. Again it is a second gen model which has been upgraded to 192kHz to match industry levels and the pre-amp design has also had a complete overhaul. 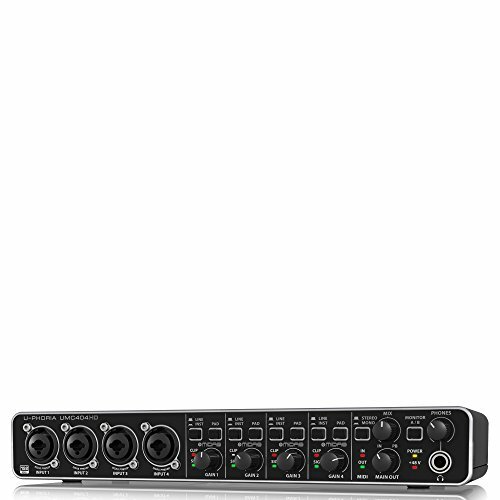 Its user-friendly layout is faithful to its original designs it has 4 combined XLR/TRS inputs for mics, 4 line in level inputs each with a dedicated gain control knob Phantom power is available in pairs. The monitor dial controls the output instrument level for the rear outputs. + 2 headphone monitoring outputs. Why We Liked It - Its increase in I/O options make it better for bigger rigs and more demanding use it is only marginally more expensive than the more basic models. The PreSonus Studio 26 offers up a few more impressive functions than the AudioBox iTwo 2x2. Namely the two additional balanced line outs and it's cue mix A/B button which makes it ideal for DJs It's converters match the other leading brands in this price region. The PreSonus Studio 26 provides 2 combined inputs; XLR / jack, the jacks are switchable from higher to normal impedance via the line/instrument switch a feature modeled after the Focusrite. It is capable of supporting condenser mic use with 46v phantom power as standard. It also has MIDI in and out on the rear. The PreSonus Studio 26 offers low latency headphone jack for adding to your tracks in real time it has an impressive range for decibel gain. It is solidly built and comes with a copy of Studio One Artist but is compatible with all Mac and PC digital audio workstations. + 4 in, 4 out. 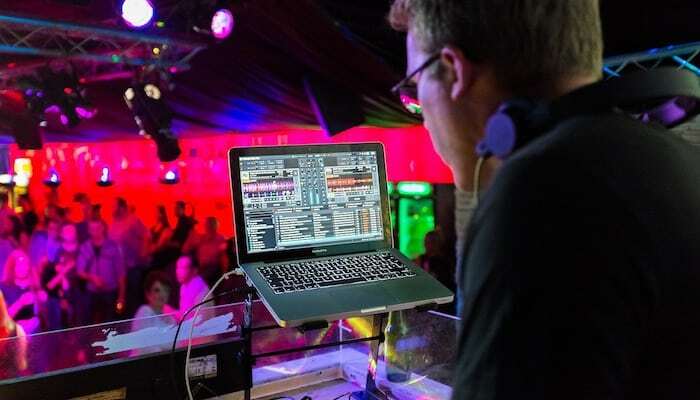 Why We Liked It - We really appreciate the extra thought that has gone into the functionality in regards to the design suitability for modern DJs. makes for yet another user friendly, no frills studio in a box option at the $100 dollar mark. It has 2 ins and 2 line outs, 1 input is an XLR/ TRS combo. It has 48v phantom powering capabilities runs at a 24-bit/192kHz audio resolution. 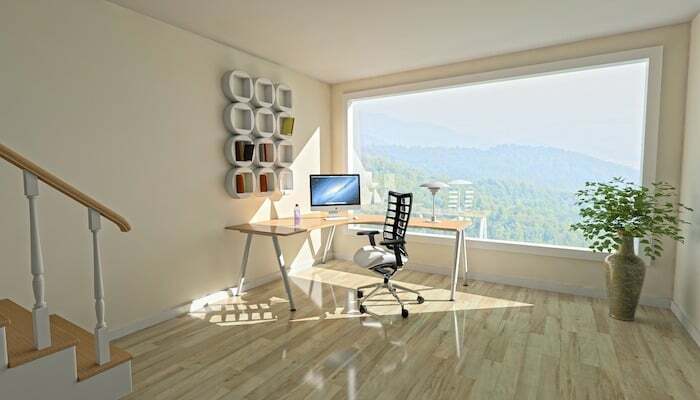 is of solid construction and has a sleek and stylish design that looks more like a traditional mixing desk shape. The dedicated dials are top mounted and it has zero latency headphone monitoring in real time. It features all new professional grade crystal pre-amps to provide a low noise solution. also comes with its own edition of Pro Tools, some additional plug-ins; Elevenlite, Xpand! 2, and around 2 gigs worth of sample content from touch loops. + 2 in 2 out bare bone essentials. Why We Liked It - The signals seem to be pristine, it is the same regional price as the PreSonus we reviewed but we think it better captures the subtleties of performances, it also appears to be more solid. Also coming in for under $100 is this amazing USB 4 track audio interface from Behringer one of the biggest names in audio. Each of the XLR/TRS combo inputs has it own set of dedicated control knobs. 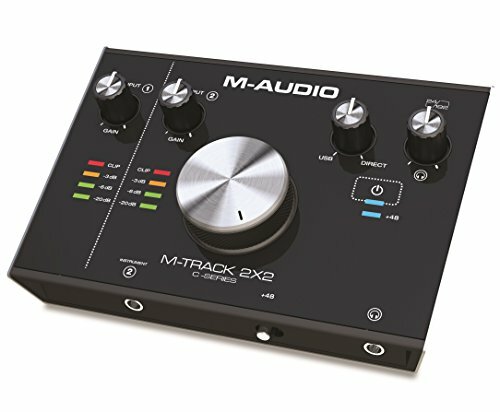 This cheap USB audio interface features world-class MIDAS pre-amps which have been incorporated in some of the most renowned equipment worldwide for the last 3 decades, they have an exemplary reputation for their purity providing noiseless signals. It has MIDI in/out, musical instrument level controls a range of outputs (¼” TRS, RCA & XLR) and Monitor A/B source selection to cater for all your DJ-ing needs. The budget USB audio interface comes with Tracktion software which is a popular DAW software app with a vast library. Why We Liked It - We are astounded at how many features Behringer have managed to pack into one low budget AI, it really has capabilities expected of a model typical of the $250-$350 range. An audio interface is an incredibly useful device for computer-based audio production. They are absolutely essential to have if you are looking for a more professional instrument level of audio performance from your computer especially if you require more than one input at a time. 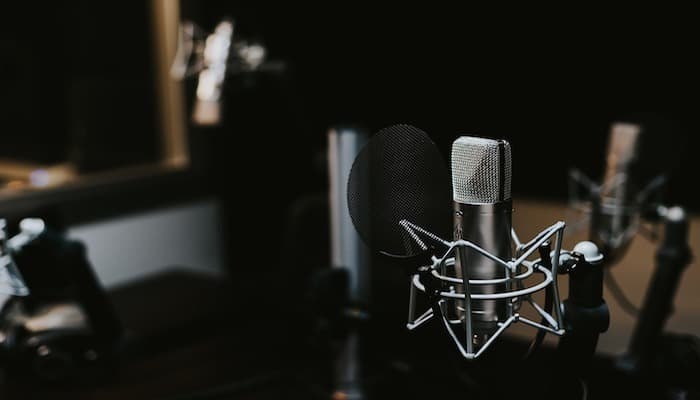 You might get away with an audio podcast from a high-end USB microphone option but for music production, in particular, you are going to want the ability to route multiple inputs from one port. Read on for the full buyer's guide! They not only provide the necessary connections required to input your musical instruments and recording vocals but they also act as the computers sound card when in use increasing its sonic capabilities. They also provide a better digital clock and have superior circuitry to a stock sound card. An AI allows you to connect to your computer via different ports a lot tend to USB 1 or 2 these days but some connect through FireWire or even PCMCIA/ Express card slots. Generally speaking, this is dependent on how many inputs your device can manage if you are going to use 2 microphones, for example, a USB 1 should do the trick. 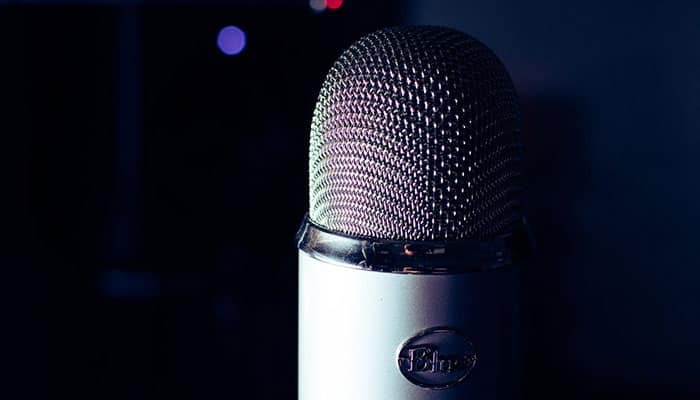 The bigger the demands of the AI the higher the bandwidth of the recording interface. They convert analog signals into digital audio information and send it to your computer they also simultaneously receive the digital information from our computer and reconvert and send the signal back into analog. The inputs you require on your recording Interface is subject to what you intend to get out of it. If you plan to play electric guitar/acoustic guitar/bass guitar and sing you will need 1 XLR and 1 TS or Jack. A lot of modern models combine the two as one connection and XLR for three pins and a TRS in the middle for your jack (combo input). If you want to get recording vocals and electric guitar or acoustic guitars separately in individual takes 1 input would be sufficient however if you want to play or record the two together you will obviously need 2 inputs minimum. Additionally, If you plan to use MIDI instruments you will need MIDI connectivity ports. MIDI capabilities are awesome because they run on a series of computer-based commands they allow you to have a remote control way of controlling the MIDI instruments that your DAW may or may not have. If you hook up a MIDI synth and play it into your computer the signal is literally information so you can change it completely from the computer side afterward. 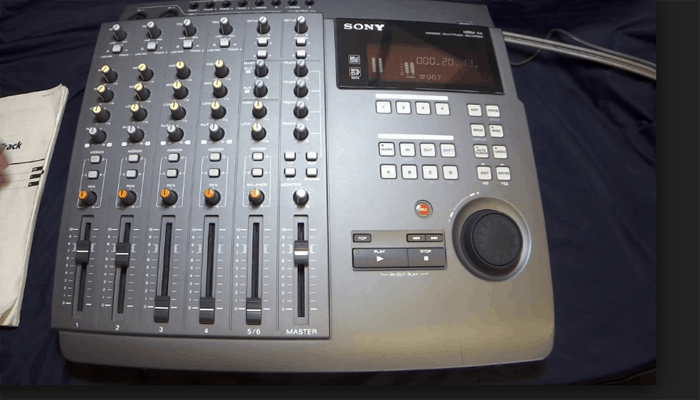 You will also want to consider your outputs typically they have one set of stereo line outs on board as well as a monitor out, if you were looking to DJ you might look for one with a double stereo line out so you can use one set for the house and one privately. So as you can see your input/output configuration is a key factor to be conscious of before you buy. Lastly, If your microphone requires phantom power to work you will want the Audio interface to have phantom power capabilities on board to power it. From today's reviews, we would say that the Focusrite Scarlett 2i4, the Steinberg UR242 and the Behringer U-phoria each have merits that make them the best cheap AI. To be honest they cover the primary needs of most individuals, allows you to connect via USB directly to a computer and use a DAW. The sound provided is of a competent level and we are seeing an increase in popular music that has emerged from home-studio set-ups. The price bracket that we have based this article on offers great entry level audio interfaces which are perfect for those finding their feet, hobby recording and aspiring level use. The more you fork out the better the sound capabilities and accuracy is the general rule of thumb but for under $200 bucks you can get some amazing cheap audio interfaces that really are a marvel of engineering by most standards. In essence and to give a round-up, if it has been manufactured to a good degree by a company with some repute, reviews well (check multiple sources), and has the inputs and outputs required then its a valuable piece of tech to own. 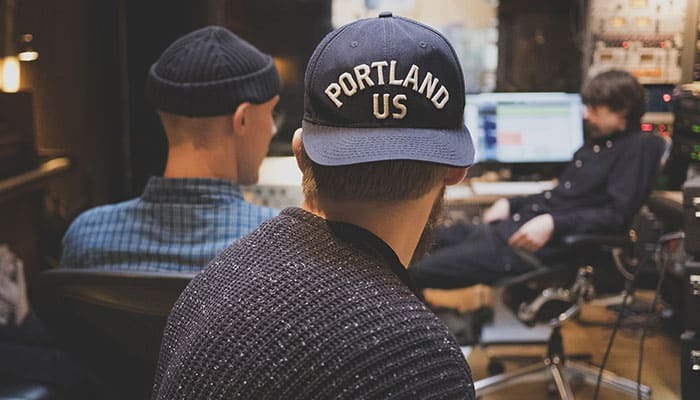 You will always get what you pay for sometimes to a varying degree at the end of the day they keep up with the standard but audio production is subject to constant refinement so that standard is always changing and evolving but on the whole, they are a sound and relatively small investment. In the last decade, we have seen audio interfaces come on leaps and bound in the professional industry, the compact, streamlined USB interfaces which have been engineered are truly incredible feats. The market is an overcrowded one which means companies are having to step it up to stay ahead of the game- fortunately for us! There is not too much to consider if you are set on getting a low budget AI, know your I/O requirements and you should be good to go they aren't dubbed plug and play conveniences without a reason. 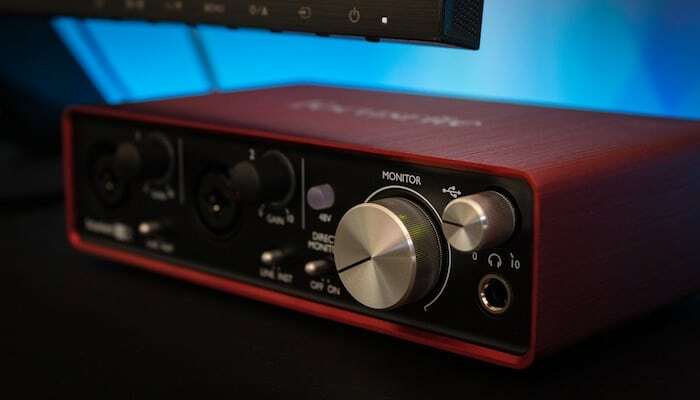 If the budget audio interfaces we have reviewed in this buying guide don't cover your needs you will have to save a bit more cash as they are an accurate representation of what to expect from an audio interface in this price range. Generally, we record one track at a time so you don't need too many inputs and outputs to get around a big band but you might want a series of mics for live drum recording for example. Ultimately the recording interface you pick will be down to your intended use. 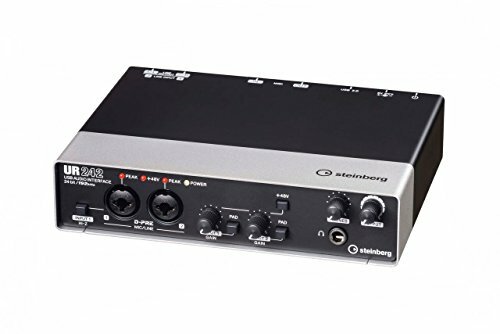 If you want to use dedicated plugins without placing the load on your computer you can look for an audio interface with DSP capabilities like the Steinberg UR242 reviewed above. The Focusrite Scarlett series traces it's lineage all the way back to the Focusrite Forté, a mix console built with a no expense spared approach that nearly ruined the company in it's first 4 years of development. It was probably one of the finest ever built but the financial difficulties meant that only a handful were ever produced and there are only 2 in known existence today.